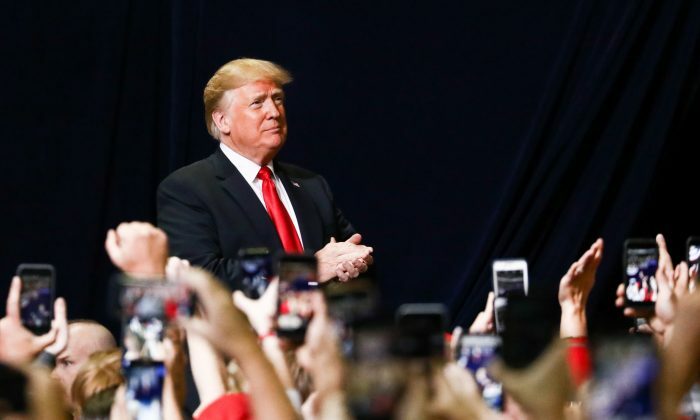 WASHINGTON—In his second State of the Union address, President Donald Trump will hit on several major bipartisan topics, but a focus on border security will likely outweigh them all. The official outlined five key areas of the speech, including immigration, protecting American workers, infrastructure, lowering health care costs, and national security. High-level U.S.–China trade talks concluded on Jan. 31, with progress made toward a trade deal and a Chinese commitment to buy more U.S. soybeans. The White House has said that if both sides fail to reach a satisfactory outcome by March 1, the United States will increase tariffs on Chinese goods. Democrats have chosen former Georgia gubernatorial candidate Stacey Abrams to deliver their response to the State of the Union.